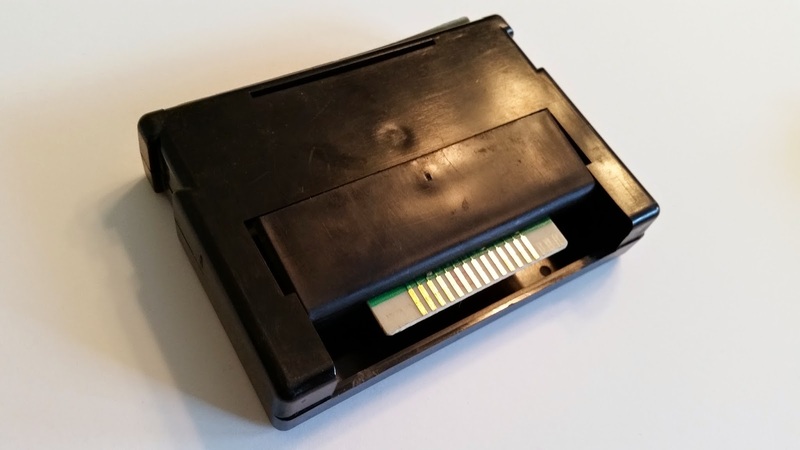 One "interesting" part of this design is the sliding door that covers the PCB card edge. This poses a couple of difficulties. 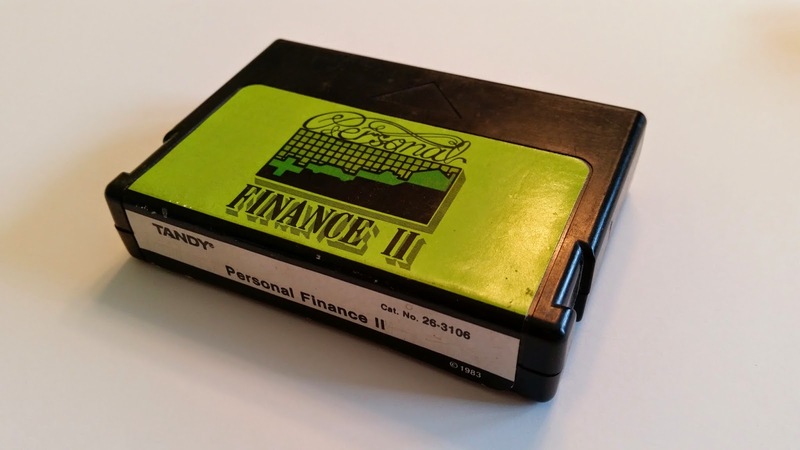 The least of the issues is that it requires a custom spring to shut the door when the cartridge is removed from the computer. A bigger concern is that the shape of the door itself has multiple overhangs that make it difficult to mold. 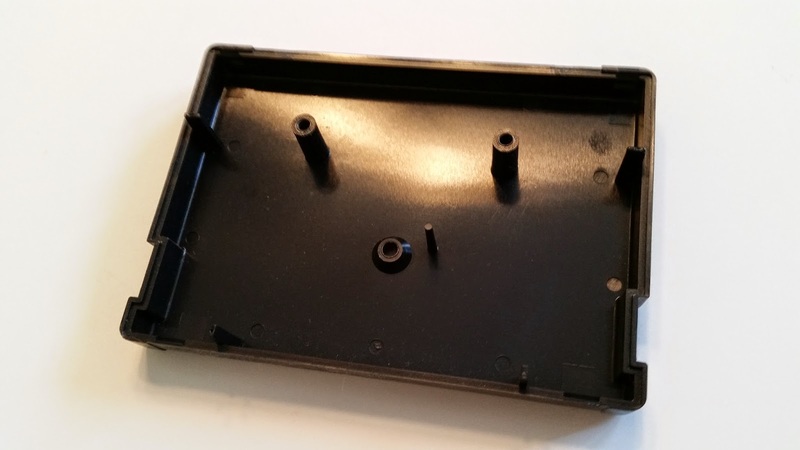 Also, the door has a slot cut into it, which either further complicates the mold making process or requires a step to machine a slot in the pieces I produce. Making a new spring might not be too hard? And using a two-piece mold may solve some of the shaping problems. But extra effort and clever mold making seems like an unnecessary complication just to produce such a superfluous piece. 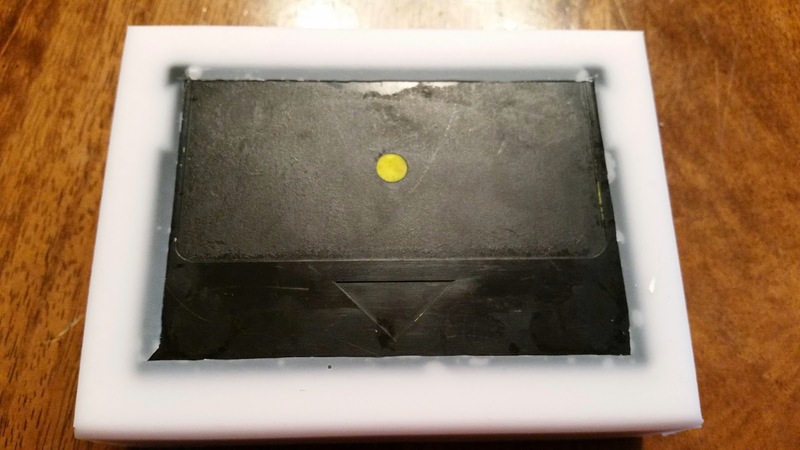 So, I will eliminate the sliding door and produce a bottom part of the mold that just leaves the PCB card edge exposed. 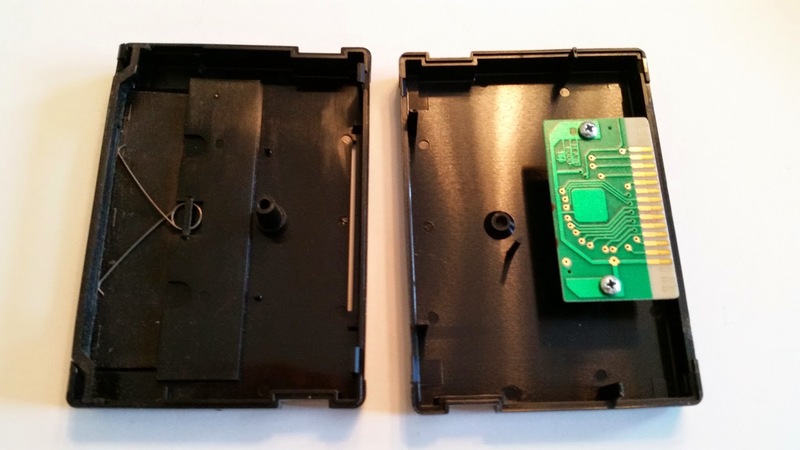 I think that the PCB is sufficiently recessed so that the case will still protect it while being a lot easier to produce. One issue is that this would leave an opening in the top part of the case that looks a bit unfinished. In order to fill that, I have used some modeling clay that I have hand-sculpted into a shape that looks a bit more intentional. Not exactly machine precision, but it serves the purpose. :-) A little more clay was used to fill-in some holes that I don't want as part of the mold. 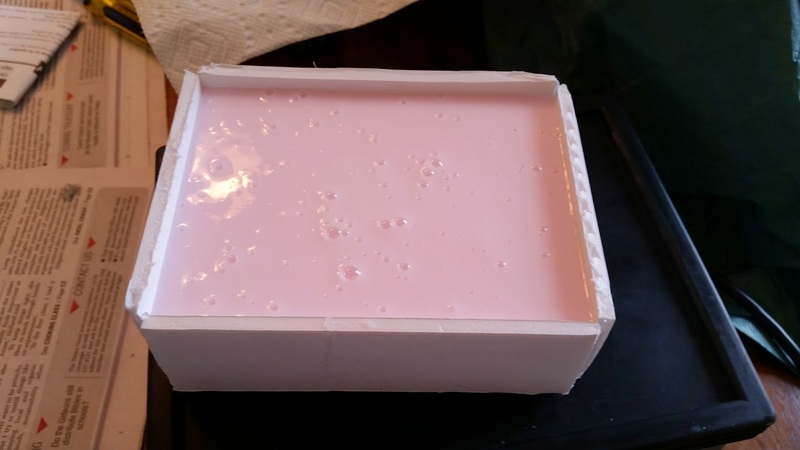 Before we pour the mold, we need something to contain the poured silicone. 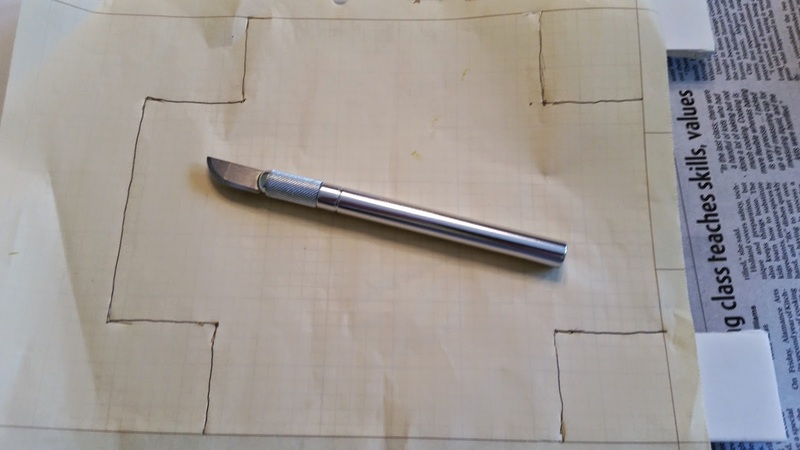 I started by drawing the outline of a box on a piece of engineering paper. 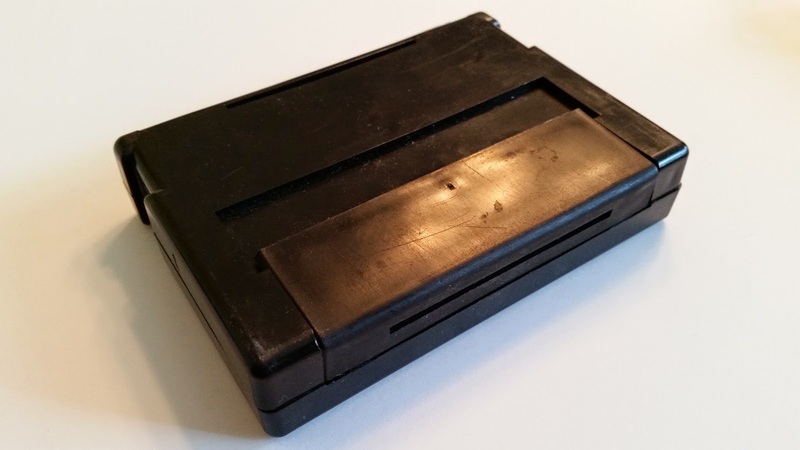 Obviously the measurements of the box are big enough to surround the cartridge case, but they also leave some space around the sides and on top to give the silicone mold some strength and stability. I laid the paper on top of a chunk of foam board. 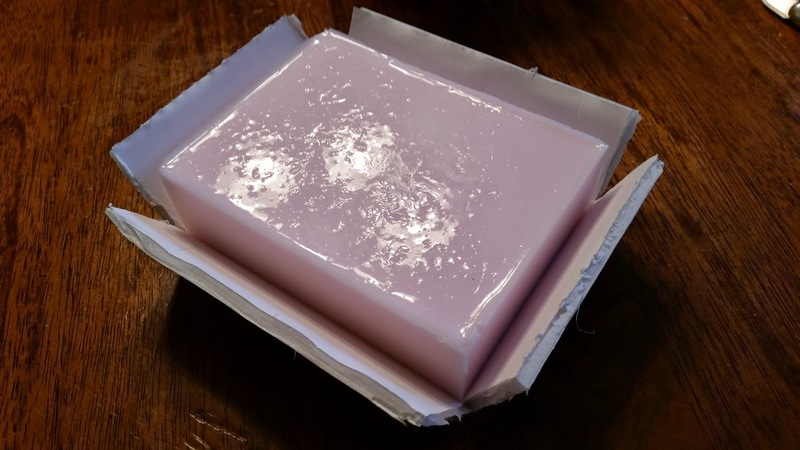 This craft material is strong enough to provide some structural integrity while pouring the mold, plus it has a non-porous surface that will keep the silicone in place during the pour. I used a hobby knife to mark the corner cuts through the paper. 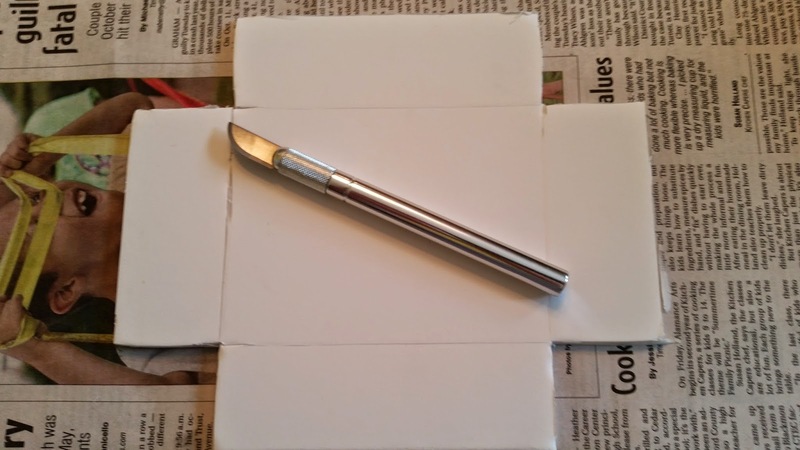 This was followed by using the hobby knife and a straight edge to cut-out the boundaries of the box. Also, cuts were made along what will be the exterior edges of the bottom in order to facilitate bending-up the sides to form the shape of the box itself later. One last step before building the box is to glue the model into place along the bottom. 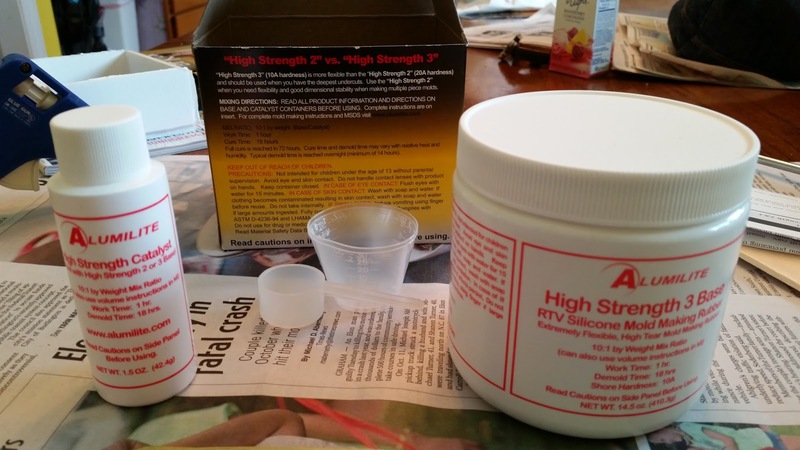 This is a crucial step, because the silicone has enough weight to move the model around during the pour. Also, the silicone could get beneath the model and essentially ruin the mold be encasing the model and forcing you to cut it apart just to retrieve the model. 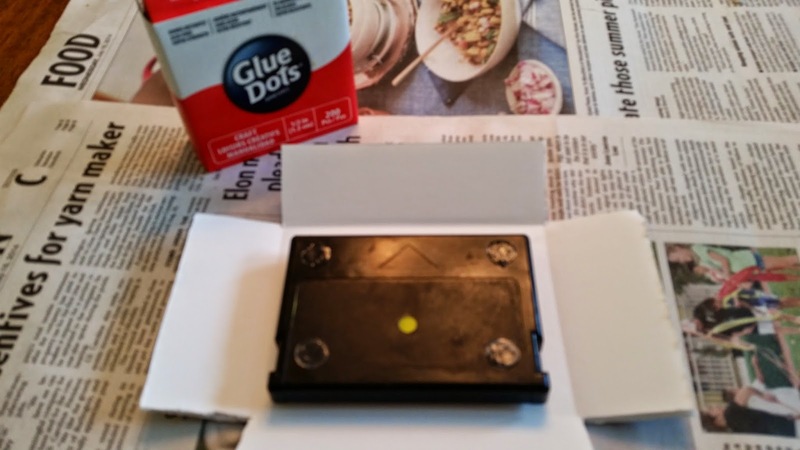 Something like that will most likely render the mold unusable, so glue the model down to avoid it -- I used glue dots! It is important to mix the base and catalyst thoroughly. 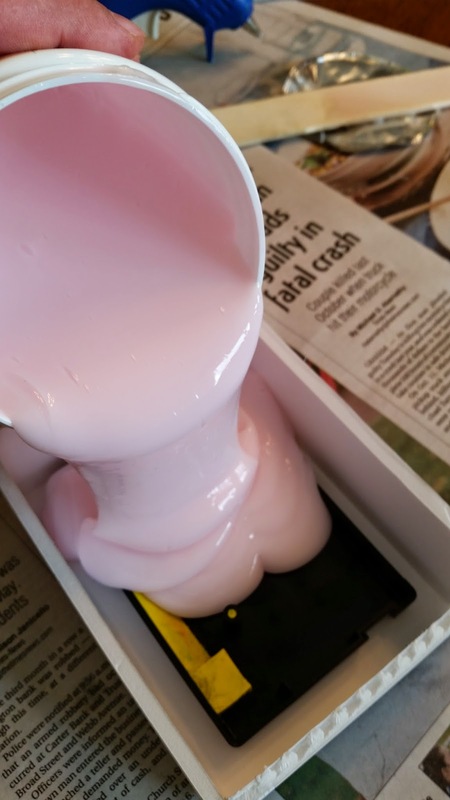 A poorly mixed pour may not properly harden, ruining the mold. The mixture has a long "work" time, so there is no need to hurry. 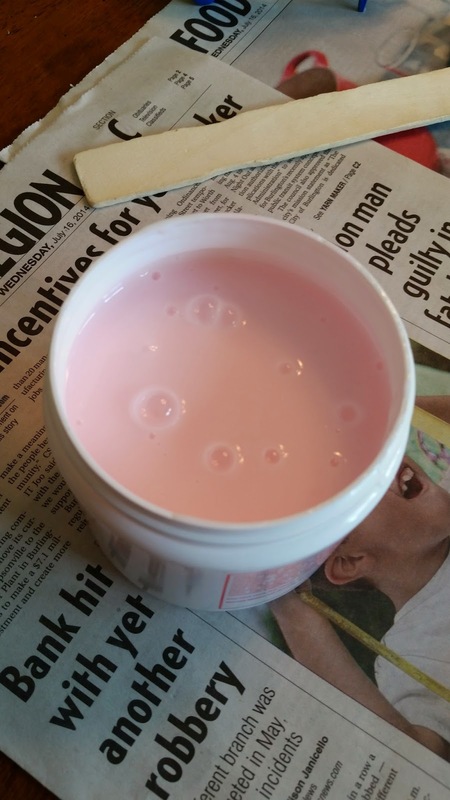 Be sure to stir until you get a consistent color, in this case, pink. After 20-30 minutes, most of the bubbles will have shaken their way to the surface of the silicone. I got a bit impatient and used a tooth pick to pop all the big ones, but that probably isn't necessary. Anyway, the product shown here has a cure time of 18 hours. At this point the mold has to be set aside and allowed to harden. 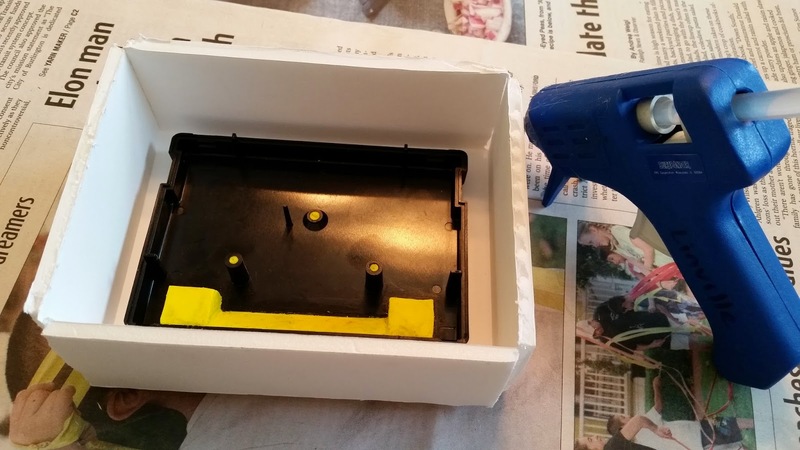 The final step is removing the mold from the box and extracting the model from the mold. 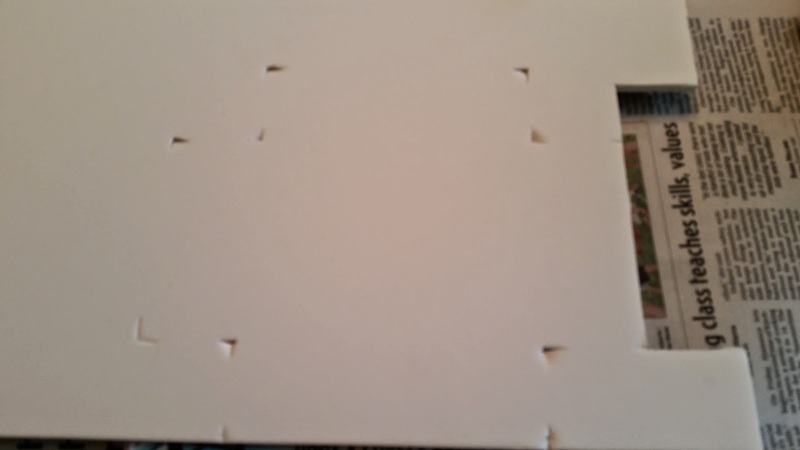 Start by breaking the glue joints holding the sides of the box together. 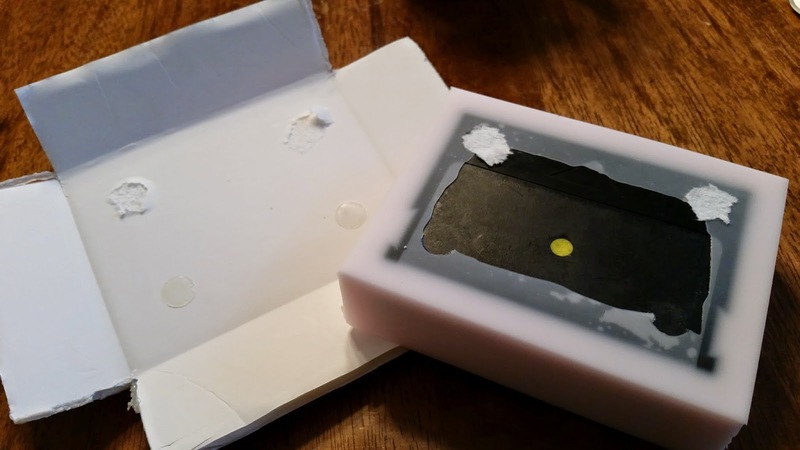 This is not at all difficult, but sometimes it is necessary to trim some of the silicone from the edges of the box either to shape what will be the bottom of the mold or just to keep from damaging the mold itself. 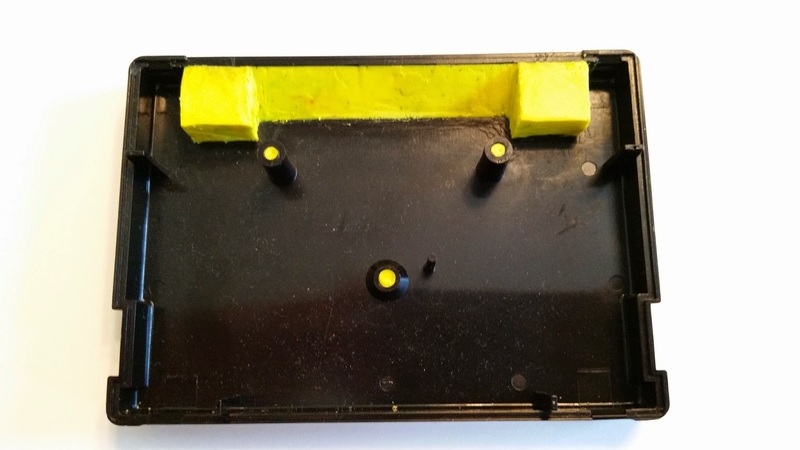 Once the mold is removed from the box, it is common to find some overflow silicone has oozed over the edges of the model. 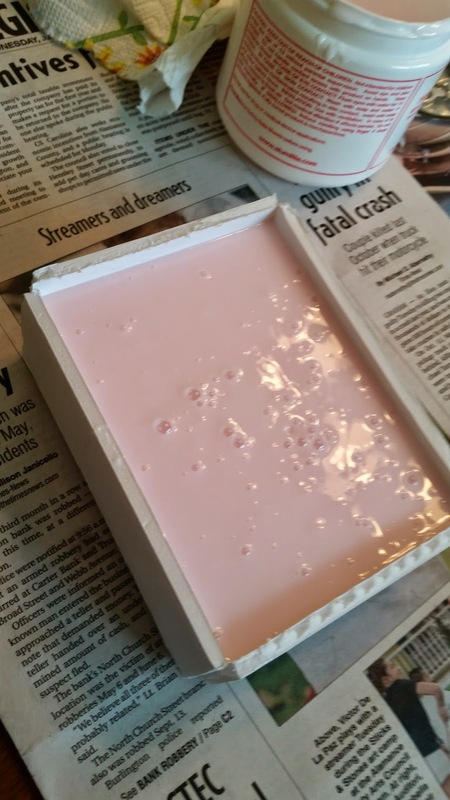 Using a hobby knife to trim the ooze helps to clean-up the edges at the top of the mold. At this point, the model can be extracted from the mold, revealing the impression left to be filled by plastic resin later. 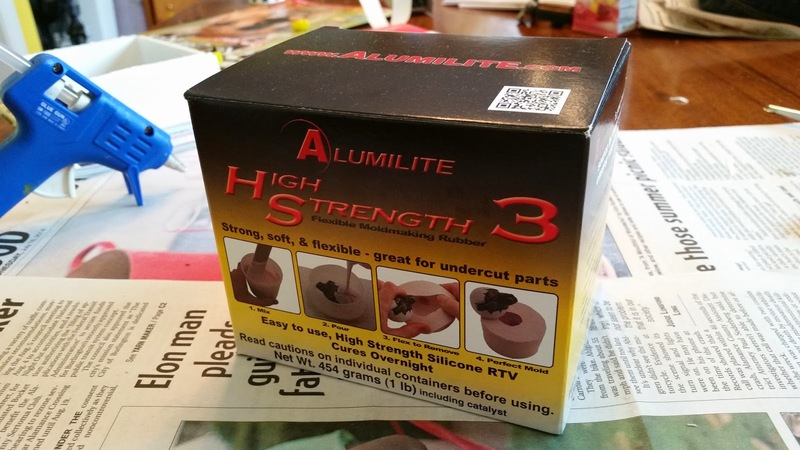 So, that covers the process of making a silicone mold. 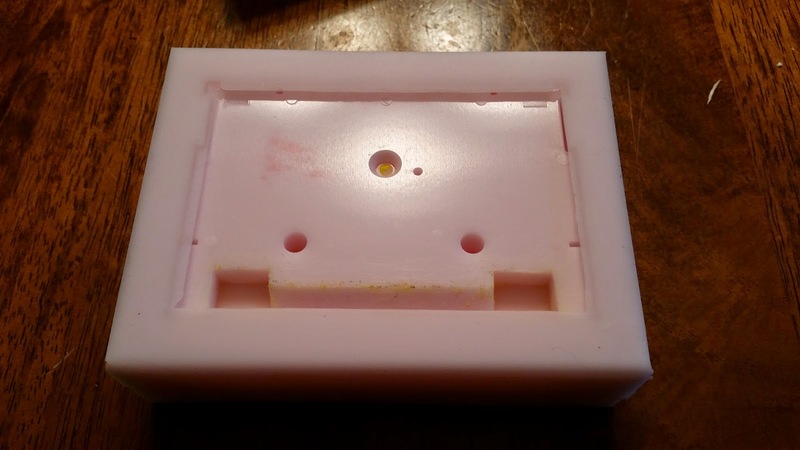 The process for making the mold for the bottom of the cartridge case is similar enough that I won't bother with documenting that. 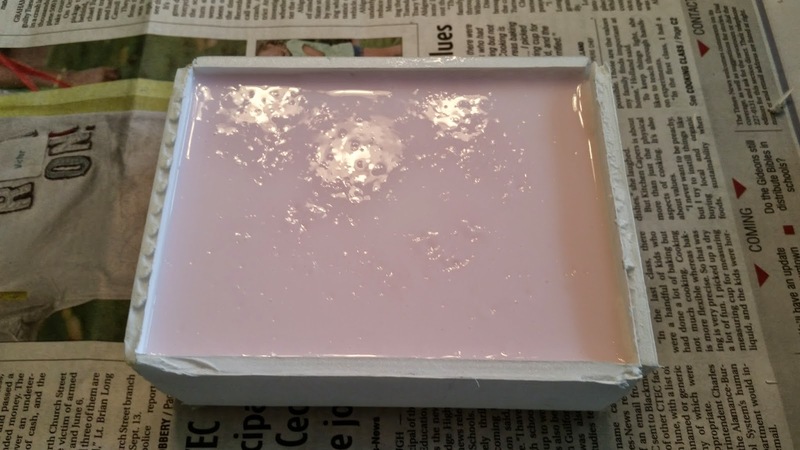 The next step will be pouring some plastic resin into the mold -- be sure to stay tuned!